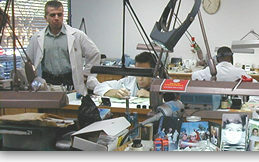 jewelers and watch manufacturers utilize UWR for service and restoration. while building customer confidence and customer satisfaction. 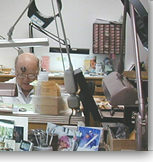 Universal is the repair center for 14 of the top jewelry chains worldwide. 3,000 independent and guild stores and watchmakers Worldwide. We are proud members of AGS, IJO, RJO and CBG providing repair service for many of their retail members at special discount. In addition, Universal is the support service center for other factory and non-factory service centers, especially when they might not be able to complete a job that is deemed to complicated or labor intensive.